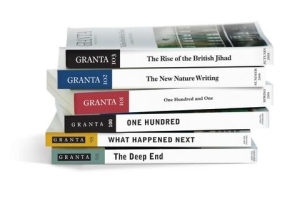 Granta is one of those publications in the world that allows new, aspiring writers to publish their new work. Reading the magazine allows the reader to feel as though they too are the edge of literary development. Literature breaks ground every single day; the process never ends, and it remains to evolve over and over again. Personally, I’ve had a subscription for two years, since I was sixteen years old. I adore the magazine, and I read it, and annotate it to pieces every time it flies through my letterbox. Recently I was re- acquainted with the charm of literature; it began to elude me for a little while, when I was studying for A levels that were at best robotic, and almost dehumanizing. The systematic study of a text essentially begins to remove a personal perception or interpretation; working towards a mark scheme only adds to the sense of futility of actually studying a text. It removes the mystical beauty of it and instead creates a monster completely lacking in soul. So I read through it, at the same time as I plough my way through Rivkin and Ryan and their collection of literature. I read, and I read and I hope that one day, I’ll be published in it. I’ll go straight to Ikea and buy the biggest and most beautiful photo frame and stick it up, right on the wall, where I can see it everyday. As far as I can see, writing takes a huge amount of discipline; much more than anyone really gives them credit for, because without an office, and a cubicle, a person has to sit down and write of their own accord… push through the writer’s block, completely alone. That is possibly very unsatisfying; being completely alone in your quest to create something worth publishing, or something that people will want to read, however at the same time, there must be a degree of liberation in being entirely dependant on yourself; it is only you that makes it happen, and so when it does happen, and the words are flying off the keyboard, making pretty pictures, and pretty metaphors, then the success is entirely yours. It is literally yours alone, and you don’t have to share with anyone. 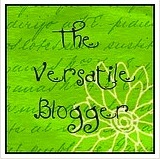 So being a part of the aspirational world of the written word can really only be a blessing, and something to be proud of. Anyone who wants to join can, but only those who really want everything in it get to stay for the long run.